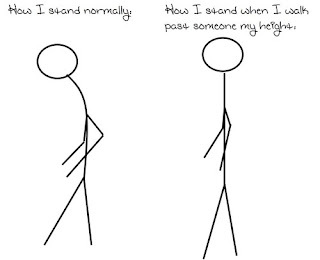 fitness planfinish: "Are you getting taller?" We're three weeks in now and some amazing things are beginning to happen for Whitney. 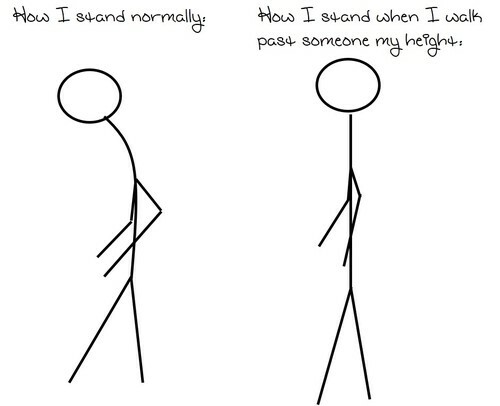 "In the past week, no fewer than three people have asked me if I'm getting taller," she said. "I'm 27, I know I'm not still growing." I think she's looking taller because she's already losing weight around her face and neck. We haven't weighed in again, but there's no need. Her body is already changing. She's also noticed that some of the people around her are suddenly becoming more active. After buying some boxing gloves and target mitts to practice with, her father has pitched in and is happy to help her spar on her "off" days. And one of her friends has begun walking a couple of days a week with her at the local reservoir - a 1.6 mile loop. In case that doesn't sound like a lot of exercise, try strapping a couple hundred pounds to your body and then taking the same stroll. ME: You're two full weeks in now, how's it going? WHITNEY: It�s going pretty good, coming to the workouts isn�t so much of a hassle anymore I actually feel like if I missed a workout I wouldn�t feel right. Also i�ve noticed my confidence has increased with showing up to the gym and working out. ME: I've noticed how much your stamina is already improving (boxing for 1:00 straight when you started at :30 seconds just a week ago. Have you noticed any differences in your day-to-day (energy at work, home, with family and friends)? WHITNEY: My energy levels definitely have increased and my sleeping has improved. Usually during the day due to my job consisting of mostly driving I found myself wanting to fall asleep at the wheel and then waking up 2-3 times during the night. Now I work, go to workout and when I get home I can actually relax and fall asleep. Also my job entails a lot of stress and Im able to bring some of that stress to the workout as well which is a great release. ME: You told me a man at your job is also starting a fitness program on his own and said you two should be "each other's support group." How is that working out? Do you find extra motivation from him and others who know about your training? WHITNEY: YES!!! Basically when I started these workouts I decided to not tell anyone, once you tell people then its like a flood of questions and I didn�t want to happen. Then I realized, why shouldn�t I be proud of the decision I made to improve myself? I realized that sometimes it�s important to tell people because then it�s not only creating a support system for yourself but it�s also creating a sense of accountability. You can talk like your doing all these things to improve yourself but if you don�t start showing it, its all false but when other people are involved in someway it�s almost like they are waiting to see the change too and you get a sense of not wanting to let people done which all goes to motivation. WHITNEY: I am still keeping my food journal which now that I keep it on my phone it has become so much easier to keep updated. Also it�s amazing to see what you consume in a day and how all the protein, fat, sugar and such add up. I did take your tips about the nutrition and i�ve noticed a positive difference. REPEAT 3 TIMES. WALK BETWEEN CIRCUIT SETS FOR REST.